I write so much about San Diego professionally that I tend to favor other destinations on this website. It’s a wonderful city and a very popular destination. I thought it was finally time to offer my go-to list of spots. 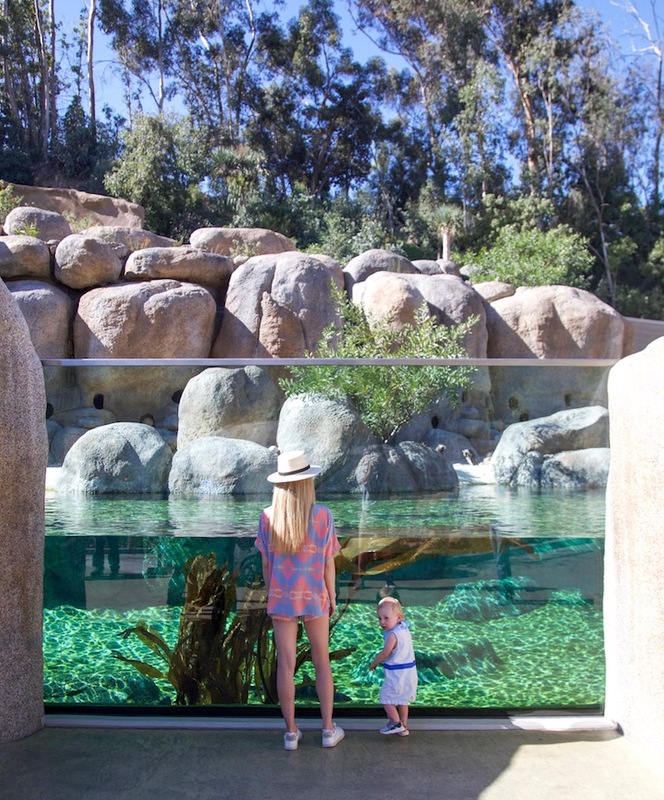 While I’ve included a few popular tourist attractions such as the world-renowned San Diego Zoo. I’ve also include lesser-known restaurants, boutiques and neighborhoods that challenge San Diego’s reputation for only being about surfing and sunny weather. I like to describe the Casbah as a dive bar, but with good beer and incredible live music. Bands big and small make stops here. I’ve seen a variety of acts from the girl group Haim, to the Portland band Blitzen Trapper. Ticket prices are always reasonable and the openers are often really good. The entrance through a courtyard strung with Christmas lights is so SoCal. If it’s ever tricky to get a beer at the main bar next to the stage, know that there’s an equally well-stocked bar in the back. The African penguin enclosure at the San Diego Zoo. We received a San Diego Zoo pass for Christmas and I’m enjoying our regular zoo visits every bit as much as my young son. It’s an oasis of green in the city. The 3,000 animals that live there reside in expansive enclosures that are meant to replicate their native habitats. For example in Africa Rocks, the baboon enclosure has a rocky canyon and a sunny plateau. The tiger habitat is tucked into lush jungle. San Diego Zoo Global’s mission is to end species extinction and its efforts go beyond what tourists and locals see at the zoo. The organization breeds endangered species and reintroduces them into the wild. It’s also working to move elephants into safer habitats in Africa. The mouthwatering pastry case at Wayfarer Bread & Pastry. 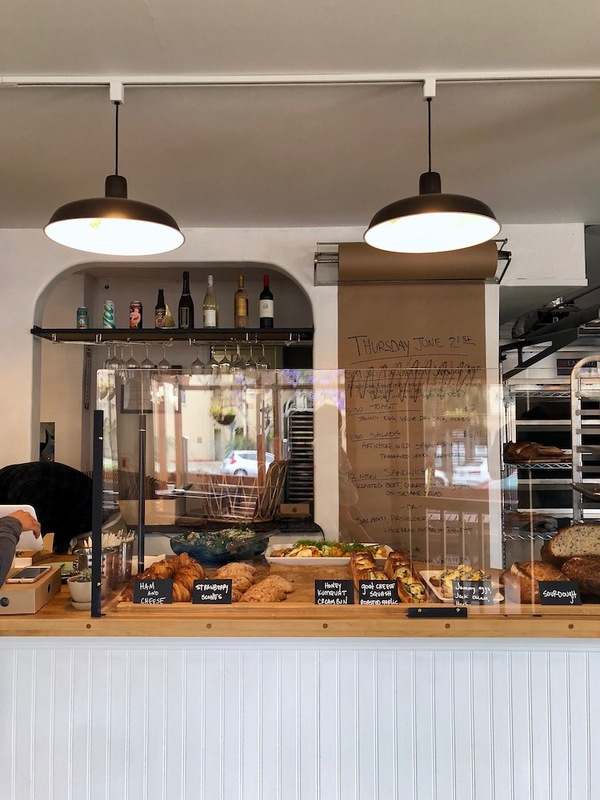 Wayfarer Bread & Pastry, a La Jolla bakery a block from the beach, is in the same league as the best rustic bakeries in Los Angeles, San Francisco and New York. Owner Crystal White worked at San Francisco’s acclaimed Tartine Bakery and co-opened Proof Bakery in Los Angeles before starting her own spot. The talented baker showcases the best local produce in seasonal pastries such as fruit-filled galettes and a strawberry pistachio croissant inspired by Parisian pâtissier Pierre Hermé’s croissant Ispahan. Filled with homemade strawberry jam made with fruit from renowned Chino Farms and pistachio paste, it’s the perfect mix of sweet and salty. The bright space includes a mural by Fanny Hohmann depicting a sunset and wheat silhouette, mid-century modern couches and a bread oven in the center of the dining room. The best seat, however, may be on the patio where you can feel the ocean breeze. The margaritas at Galaxy Taco are a highlight. Galaxy Taco is my favorite restaurant in San Diego. The elevated Mexican fare is flavorful and fresh. 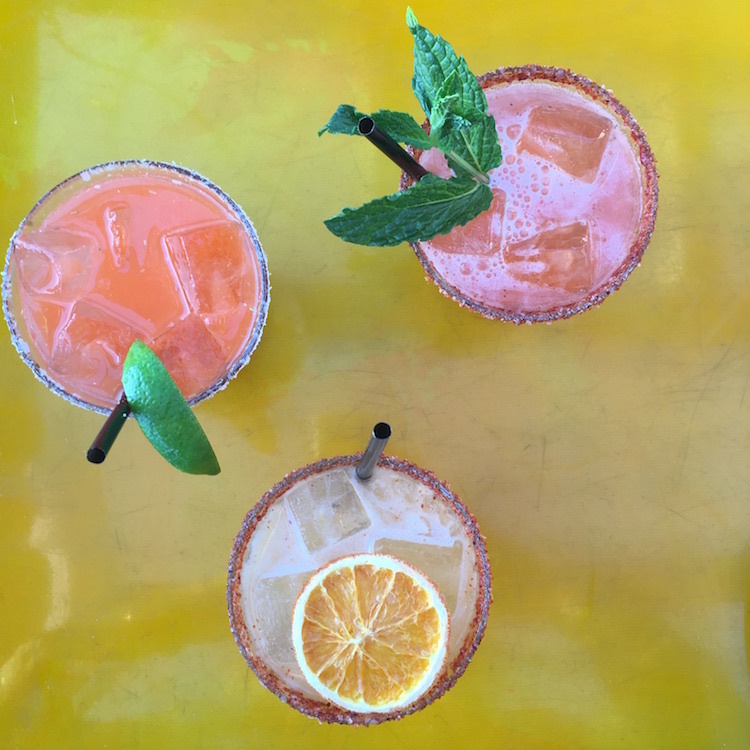 The margaritas featuring top-notch spirits and freshly squeezed citrus are delicious. I more or less always order the same thing, the sweet and savory fruit salad with jicama, mango and watermelon, the freshly-prepared guacamole, the grilled octopus tostada and the crispy Baja fried fish taco. Located in the upscale beach town La Jolla, I highly recommend spending the afternoon at La Jolla Shores, a beautiful wide sandy beach, before heading to Galaxy Taco for dinner. Artistic flair abounds in Barrio Logan. One of San Diego’s most historic neighborhoods is also its most culturally distinct. Barrio Logan has been an epicenter for Latino culture since the early 1920s when many fled there following the Mexican Revolution. 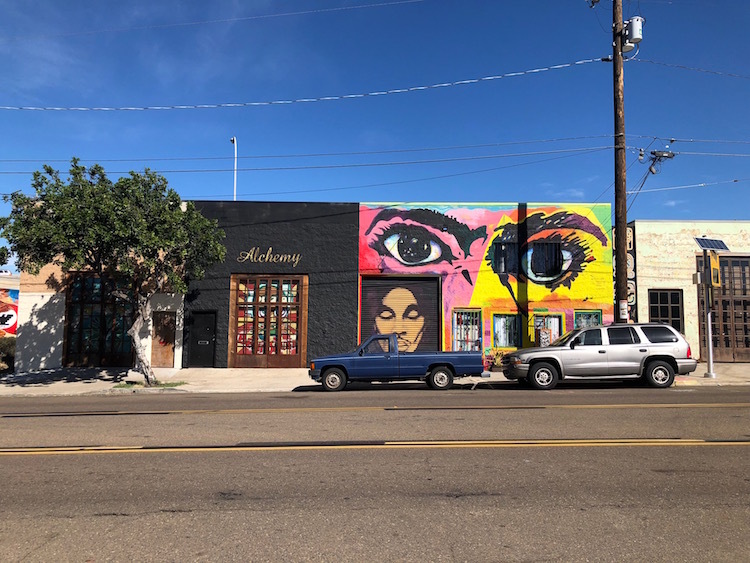 The neighborhood is still home to Fruterias, auto body shops and traditional Mexican restaurants, but art galleries, breweries and boutiques are infusing it with new energy. 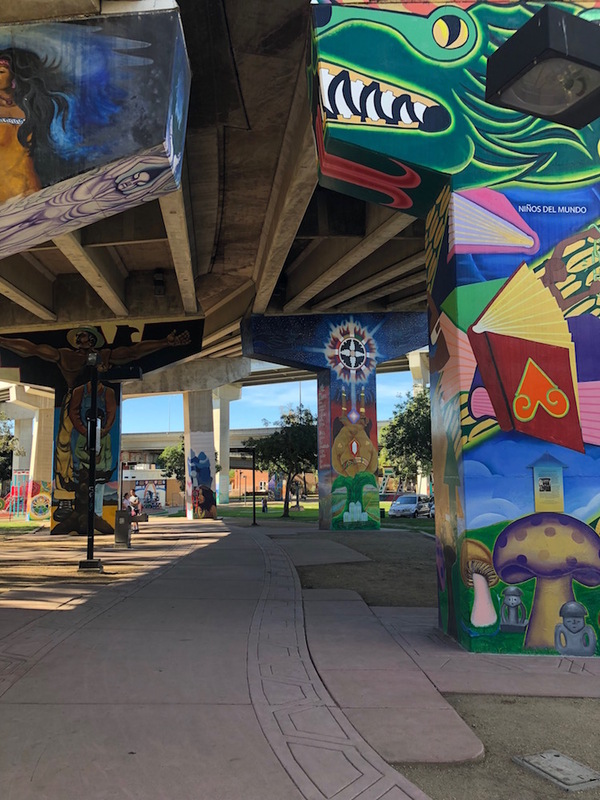 Chicano Park, a National Historic Landmark below the San Diego-Coronado Bridge, features the largest collection of outdoor murals in the United States. Chicano Park has the largest collection of outdoor murals in the United States. If you go, continue down Logan Avenue and pop into basileIE (2070 Logan Ave., 858 361-9052, open Thurs.-Fri. 2-6 and Sat. 2-8) for edgy art exhibitions and Border X Brewing (2181 Logan Ave., 619 501-0503) for unique beers flavored with ingredients such as hibiscus and agave. The cafe Por Vida (2146 Logan Ave., 619 564-8568) offers coffee and a communal vibe. Beat Box Records (2148 Logan Ave., 614 747-1112) has an excellent selection of vintage soul and jazz vinyl and ¡Salud! Tacos (2196 Logan Ave., 619 255-3856) serves margaritas and Chicano-inspired tacos. I like the Barrio. The restaurant serves a traditional meat and vegetable stew on a flour tortilla and tops it with nopal, avocado and sour cream. If you’re looking for gifts and souvenirs without the kitsch, head to these two North Park boutiques, located just a few blocks from each other. Located in an airy warehouse space, Pigment (3801 30th St., 619 501-6318) stocks camp-style dishes, locally designed kids clothing, cookbooks and artsy greeting cards. Aloha Beach Club (3039 University Ave., 619 269-9838) is a surf-inspired boutique that sells its own line of menswear, designed by co-owner Kahana Kalama, as well as surfboards, sunglasses and home goods. It also has a nice selection of women’s clothing. Beer is as essential to San Diego’s identity as its mild Mediterranean climate. Modern Times is my hands down favorite local brewery. Their beers are always balanced with the right amount of citrus and hops. I love the old school aesthetic. The North Park tasting room is inspired by the 1990s (my era). Look closely at the bar. It’s made out of vintage VHS tapes. 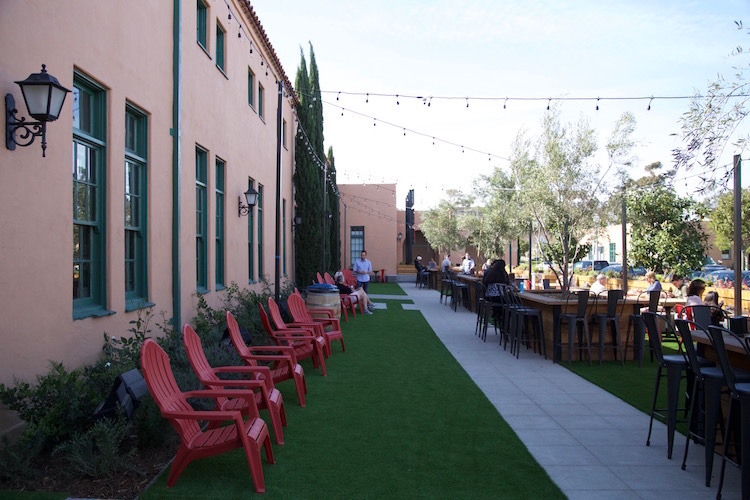 The patio at Liberty Station is a great spot for lunch. San Diego’s former Naval Training Center, featured in the film Top Gun, has been transformed into a mixed-use development with restaurants, shopping, public art and green space. Many of the Spanish colonial buildings were built in the early 1900s, giving the neighborhood plenty of character. Liberty Public Market (2820 Historic Decatur Rd., 619 487-9346), San Diego’s first public food hall, is located here. It includes a gourmet sausage maker, a raw bar, an excellent bakery and artisan cheese stand. I like the market for lunch. That’s when it’s typically nice and warm on the large patio. After you’ve eaten, head across the street to the SoCal lifestyle boutique Moniker General (2860 Sims Rd., 619 255-8772) and peruse the selection of leather bags, surfboards, bikes, rugs and other home goods. The furniture, design and antique shop Scout @ Quarters D (2675 Rosecrans St., 619 225-9925) and the bread bakery Con Pané (2750 Dewey Rd. #105, 619 224-4344) are also worth checking out. San Diego’s Central Park is a treasure. 1200-acre Balboa Park is home to the world-renowned San Diego Zoo as well as museums, running trails, playing fields, playgrounds and a theater that’s a replica of the long-gone Old Globe in London. The Natural History Museum (1788 El Prado, 619 232-3821) featuring a permanent interactive exhibit about San Diego’s unique biodiversity and landscapes, is a wonderful stop for families. The Mingei International Museum (Plaza de Panama, 619 239-0003) has a unique collection of handicrafts from around the world and the San Diego Museum of Art’s (1450 El Prado, 619 232-7931) permanent collection includes works by El Greco, Goya, Matisse and Monet as well as Buddhist sculpture and Ukiyo-e woodblock prints. Ironside Fish & Oyster, a sprawling seafood mecca with an interior inspired by Jules Verne’s “20,000 Leagues Under the Sea”, is always packed. I attribute this to the cinematic design and the consistency, something that can be a rarity in this laid back town. The oysters are fresh and briny, the vegetable dishes are smoky and bright and the refreshing cocktails pair perfectly with the seafood-focused menu. The best lobster roll I’ve eaten on the West Coast is the decadent one served at Ironside. The slightly sweet house-baked bread is a must order. If you have a sweet tooth after your meal walk next door to the creative ice creamery Salt & Straw for a scoop of Belching Beaver peanut butter stout ice-cream with chocolate chicharrones. Have some favorite San Diego spots I’ve missed? Let me know in the comments below.